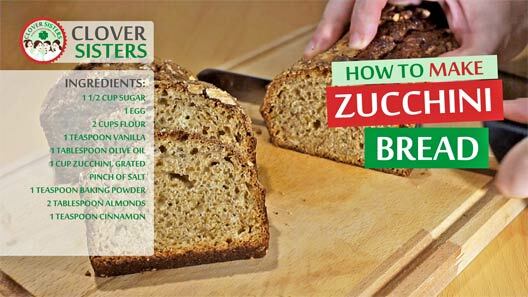 Delicious homemade sweet zucchini bread, so easy to make, bountiful and inexpensive. 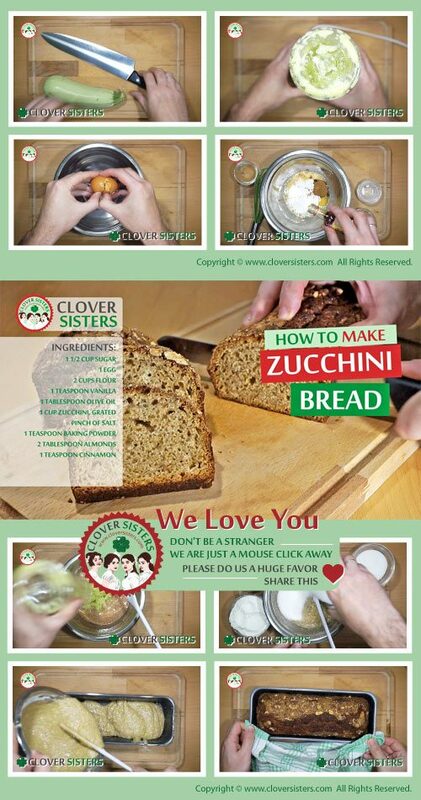 Combines well with zucchini butter, check out our video instructions how to make zucchini butter too. Add all ingredients into a bowl and just stir until is all combined. Pour into bread mold and bake in oven preheated to 400F (200C) for about 40 minutes.